What does Ivanoe mean, details, origin, short & easy attributes? Russian Meaning: The name Ivanhoe is a Russian baby name. In Russian the meaning of the name Ivanhoe is: Ivanhoe is the medieval variant Sir Walter Scott used for the Saxon hero of 'Ivanhoe. Ivanoe is baby boy name mainly popular in Christian religion and its main origin is . Ivanoe name meanings is God is gracious, Yahweh is gracious. Other similar sounding names can be Ivan. Each letter meanings in Ivanoe Name. Popular personalities with Ivanoe Name. 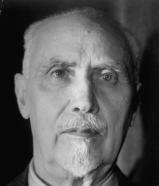 Ivanoe Bonomi was a prime minister. He was most active from 1921 to 1922. Ivanoe was born on October 18th, 1873 in Mantua. He left this life on April 20th, 1951.